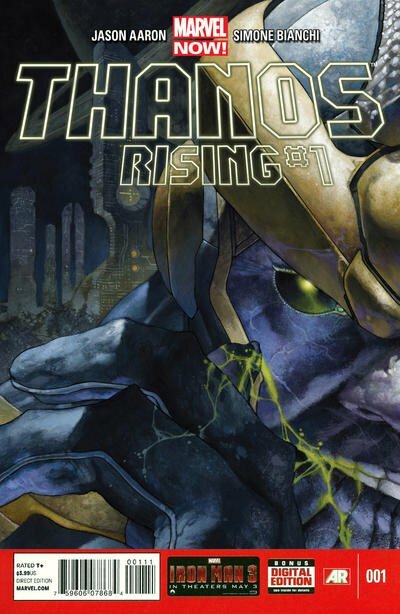 Click Here To See Thanos Rising #1 Comic book! Discover the hidden truth In this stunning splash page as the young Thanos discovers for the first time the horror of the human soul. 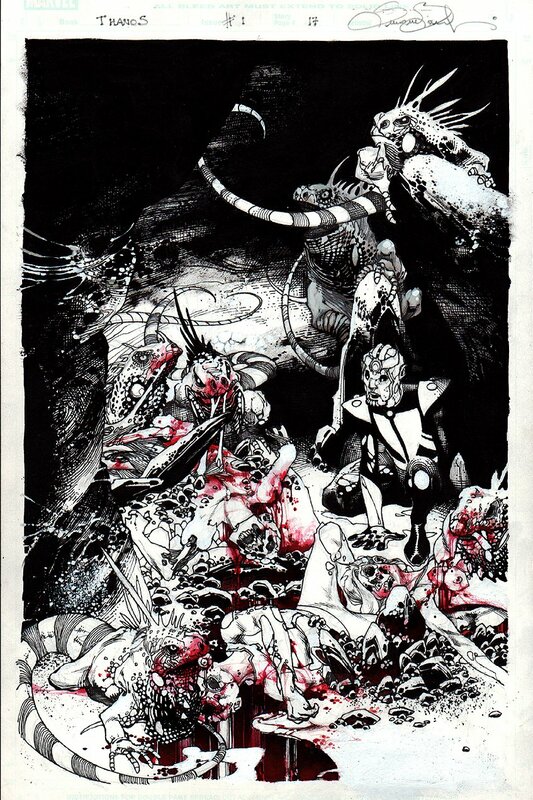 One of the most intense pieces of "splatter art" in a comic book. Incredible detail and the intense creativity from the incredible artistry of Simone Bianchi, as he spreads red paint around the art, for quite an interesting effect! unrivaled rogue of wretchedness in this gripping tale of tragedy, deceit and destiny. Where did this demi-god of destruction come from - and more importantly, what does he want from the universe? Death has been shadowing Thanos for his entire life, watching his inner darkness grow...but why? The answers come from the incredible creative team of Jason Aaron (Wolverine, X-Men Origins) and Simone Bianchi (Wolverine, Astonishing X-Men)! ALL art on our website (including this one) are able to be purchased with VERY fair time payments, and trades are always considered towards "ANY" art on our website! Just send us an email to mikeburkey@aol.com and we can try to work something out.